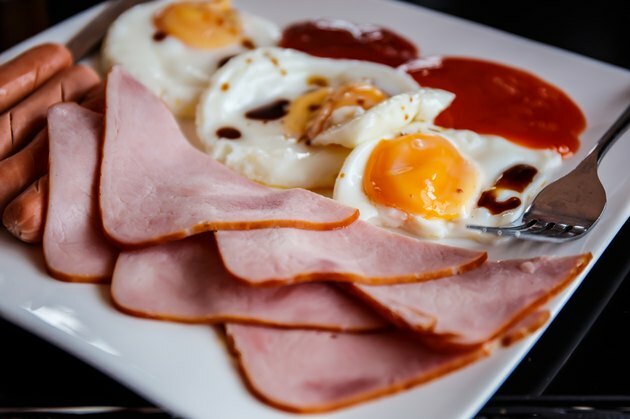 Not exclusively from the northern country, Canadian bacon is a very popular breakfast food item in the United States and Canada. It is made from pork and is much thicker and lower in fat than more common slices of bacon. Canadian bacon is used in several recipes and can be paired with a variety of foods. One of the most common ways to cook this food is in a pan on a stove top. Doing so allows the bacon to be ready in a matter of minutes, and there is very little guesswork involved in cooking it successfully. Heat a pan to medium on the stove top. Place a small amount of oil in the pan. Wait for the pan and oil to heat up. Place the Canadian bacon slices into the oil, cooking on each side for about two minutes. Continue cooking until the bacon has turned brown and is slightly crispy, then remove from the pan. Allow the bacon to cool for a moment before serving.